Inspired by the Southern Highlands luscious landscape, the smooth, organically shaped azure turquoise that adorn this necklace are highlighted by the dots of gold beads. 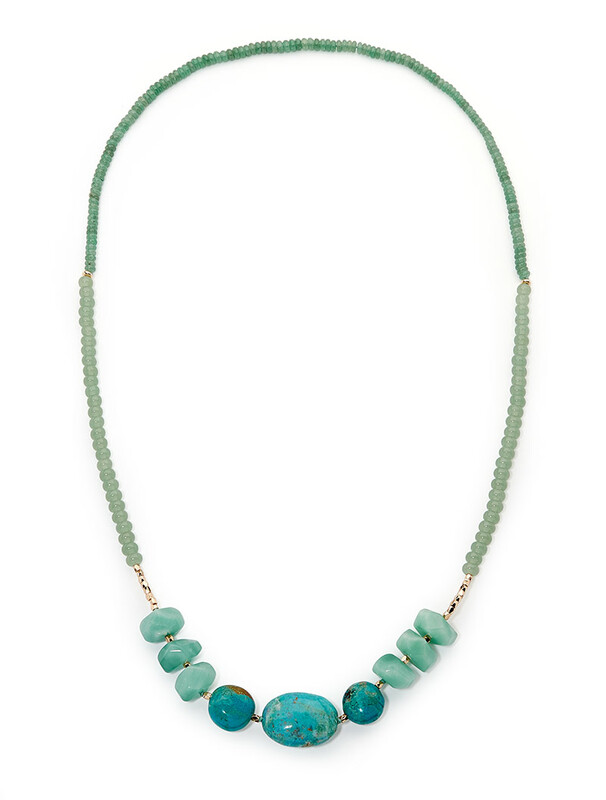 Mixed with other sea greens, this necklace makes a bold and stylish statement and can be worn for any occasion. Please note: as we don’t mass produce, this is a one off designs.